Forget Cancun and Panama City. If you’re looking for a paradise south of the border, Belize is quickly becoming the place to go. But while the country is becoming increasingly popular as a vacation destination, there hasn’t been a definitive guide to what the country has to offer. The most popular destinations are quickly becoming well-trodden territory, but some of the best-hidden gems go unnoticed. That is, until now. The Ultimate Belize Bucket List offers a noticeable diversion from the glut of advice and suggestions that flood the web. That’s in large part due to the expertise of its author. Larry Waight is a Belizean local who’s spent years offering travel advice and helping put Belize on the map. Many of the tips you’ll find in this book haven’t been published anywhere else, and they offer raw insights and insider knowledge that can take travelers well off the beaten path of the typical tourist. It’s a shocking change of pace for the Belize travel scene. Whereas most guides to the country have been written by weekend warriors and fair weather travelers who have maybe vacationed to Belize once or make the visit every few years, Waight is well embedded in the community. His history as someone born and raised in Belize provides him with a greater depth of insight than any published author in the discipline, and he combines that with over 20 years of experience working in the travel industry. Best of all, The Ultimate Belize Bucket List is designed with both novices and experienced travelers in mind. If this is your first time traveling in the country, this is the only book you’ll need. You’ll learn about where to stay, what to do, and how you can make the most of your limited time in paradise. Veteran travelers are sure to learn about hidden landmarks that they could only discover from the mouth of an experienced local. Waight grew up in the small village of Bullet Tree Falls, a stone’s throw from the thriving town of San Ignacio, and he’s now regarded as the premier travel expert for both tourists and members of the travel industry. He’s taken his years of experienced and condensed them into 101 convenient travel tips that cover all the basics and dig deep into the opportunities Belize has to offer. 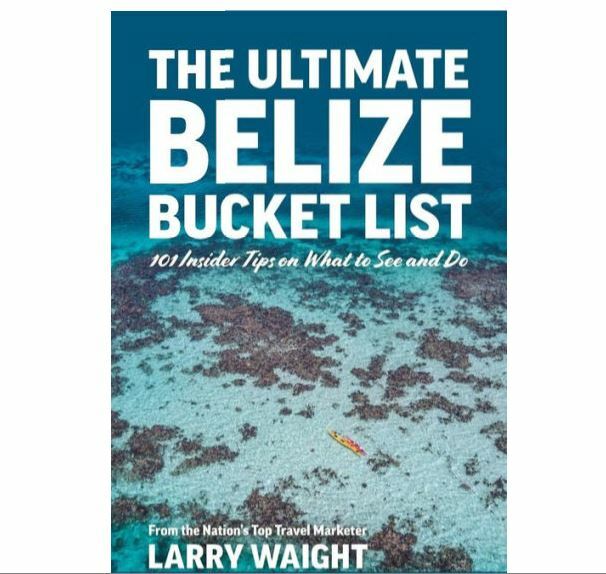 The Ultimate Belize Bucket List can be ordered today from Barnes and Noble, Amazon, or FriesenPress.